On Friday night, a fan friendly fight between two exciting Super Flyweights will take place. Dewayne “Easy” Beamon is looking to make some noise in the division by making a statement in this fight. The confident Beamon says he will knockout Angel “Diablito” Ramos. Angel is a tough hard hitting boxer who earned the name “Diablito” or “Little Devil” because he has a come forward style and one punch knockout power. He signed to a contract fight because he believes by beating Beamon, an up and coming fighter, he can get the attention from network TV. 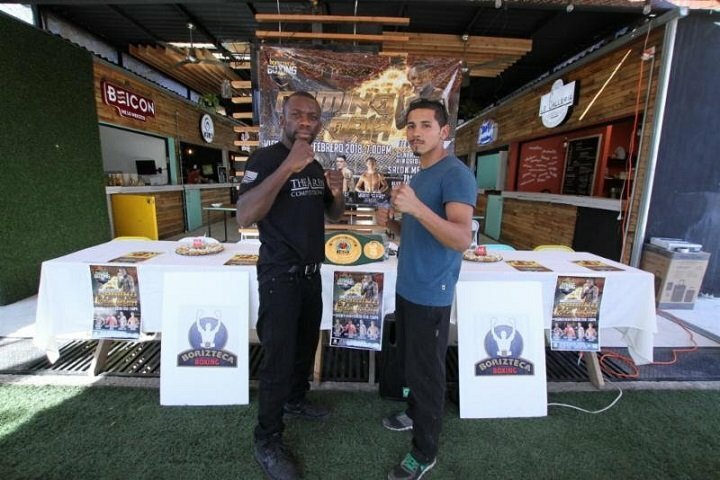 Beamon has his sites on fighting the champions of the flyweight division as the division has heated up in the past few years with HBO’s Super Flyweight triple-headers and the rise of former number one fighter Roman “Chocolatito” Gonzalez. Also on the card hard hitting Armando Tovar, 19 year Mario “Guero” Ramirez and hot prospect Kevin Torres. “Kevin Torres is something special. The boxing world is going to know Kevin Torres when he is done with his career. He has all the skills to be a world champion and he has the looks and personality to become a super star in the sport.” Saul Rios has all the confidence in the world that his developmental series is going to produce world champion in a few years. This Friday’s fights kickoff at 7 PM at the Salon Mezzanine in Tijuana, Mexico. Tickets are $10 general admission and $20 for VIP ringside tickets. “Where in the US can you get 13 fights for only $20? We are right over the board from San Diego in a beautiful venue with inexpensive tickets, food and drinks.” Saul Rios said. If you can’t make it to the fights in person the next best thing is watch it online. YouTube.com/FightHub kicks off the night with seven fights and passes off to BestInBoxing.com at 9 PM for five fights including the main event between Dewayne “Easy” Beamon vs Angel “Diablito” Ramos.